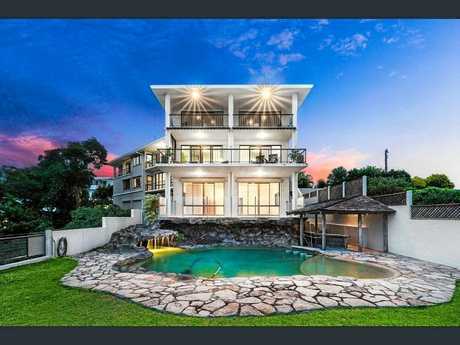 THE Sunshine Coast, with its mix of urban, rural and coastal lifestyle, hosts plenty of dream homes for those looking for space to raise the kids, find some peace and quiet or even take the horses for a ride. While most of these homes are on acreage property, some are included for their unusually large floor spaces, bedroom count or outdoor settings. 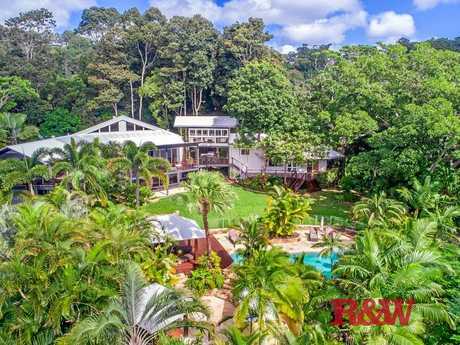 There's plenty of room to spread out on this Doonan property, with the "resort style" home perched on 12ha and residents co-habitating with kangaroos and koalas. The master bedroom opens out to a terrace and water garden that features mini waterfalls and goldfish swimming in the pond. 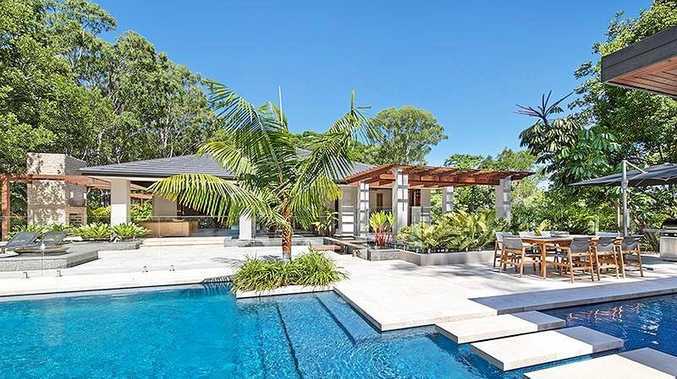 The home is part of the Noosa hinterland's growing list of multi-million dollar acreage mansions, and includes an outdoor stone fireplace, infinity pool, seven garage spaces, separate cottage, three Bali huts and lagoon. 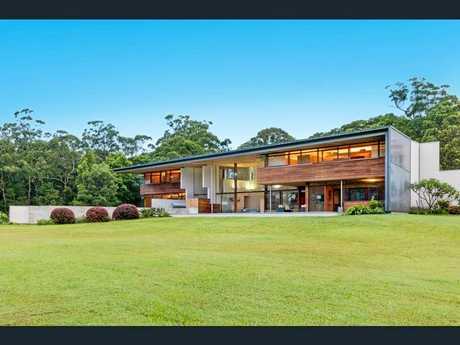 This home on a sprawling Tinbeerwah rural site is a grand architectural statement, with the massive timber structure and its floor-to-ceiling glass panels built to make the most of the surrounding bushland. The massive 32ha acre property, a mix of forests and cleared land, has plenty of space for grazing or horses. 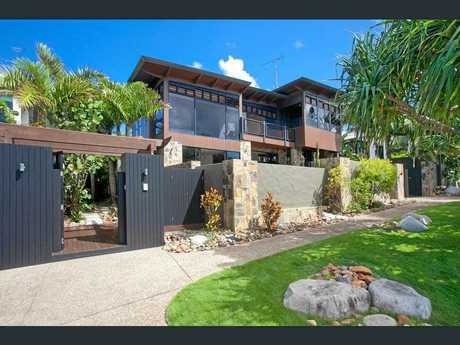 This 800sq m home on 1.24ha hillside block is one of the smaller properties on the list, but the panoramic views of the ocean from Noosa to Coolum gives the illusion of all the space you could ever need. The award-winning, architecturally-designed home also features a pool, spa, multiple decks and a section of virgin rainforest to explore. Even if you can't find any quiet space in any of the five bedrooms, large living spaces or massive ensuite with soaking tub and dressing room, then a walk out the front door and across the road to the beach should do the trick. 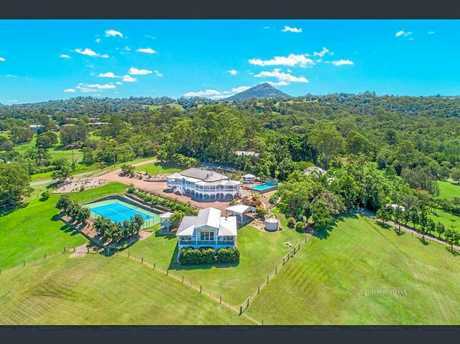 Queenslanders don't come much more grand than this, and that's before you consider the tennis court, pool, rotunda, additional residence, and 9.3ha block complete with paddocks, horses, alpacas and two dams. If you can't take up all that space yourself, the property carries licenses to run a bed and breakfast business. All three stories, and in fact most rooms in the house, have sea views but it's the rock pool complete with cave-like overhang that provides the perfect space for watching the ocean roll in. 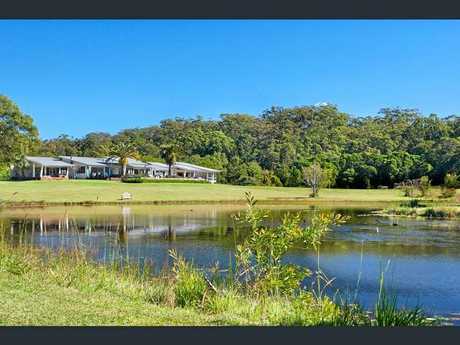 Backing onto the Verrierdale State Forest, this 20ha property features a lagoon, dam, paddocks, infinity pool, separate studio, four stables and horse care facility. The home includes a self-contained guest wing, large living spaces, pizza oven, fireplace and wide open indoor and outdoor living spaces.